Last night I bit the bullet and booked a 13-day cruise from Rome to Amsterdam. I had requested information on the cruise on their website on Monday and received an email that night. I sent an email asking about cancellation penalties if we should not be able to make the trip. I told him about Kate’s Alzheimer’s. His email response indicated that we could book for $600 and cancel up to Feb. 23, 2016. At that time we could purchase insurance that would cover the balance of the period before and during the trip. I called to talk with him after dinner last night. I discovered that the rooms were going rather quickly as this would be the christening cruise for one of their new ships. After asking questions and checking room availability. I went ahead with the booking figuring that I should have a much better idea of whether or not we can do it by Feb. 23. Tomorrow we leave for Niagara-on-the-Lake and Chautauqua. We return on Saturday night, August 8. Things continue to go well though Kate’s short-term memory still brings surprises and requires careful coordination. For example, last Friday night after seeing Dreamgirls at the Bijou, Ellen told us she was having abdominal pain and that it was similar to what she had felt when she had had a kidney stone about 7 years ago. We ended up in the emergency room at Providence until almost 3:00 a.m. We got to bed at 3:30 and I was up at 7:30. Kate slept a little later. At lunch I asked her if she felt sleepy. She looked puzzled and asked why I would ask that. I explained that I thought maybe she hadn’t slept well. She said she had slept fine. It was clear that she had forgotten that we had been at the hospital with Ellen most of the night. Yesterday we had a bump in the road. I had hired someone to power wash our patio, driveway, and brick wall. We had been to Lowe’s yesterday morning to buy some plants, and Kate had taken a large plastic container that I use in the trunk of the car when we bring home plants. This helps protect the trunk of the car. At any rate she had left it outside. It had rained and had created a mess in the container. She took it around back and dumped it out on the freshly clean drive right behind the garage. I reacted immediately and said something like “I just paid the guy the clean this.” That was all it took. She said, “I can never do anything right.” I have learned it is better for me not to say anything after a misstep like that. She went on to talk about how picky I am. Fortunately she calmed down, and it was all forgotten. Then tonight we had another hiccup when I asked her if she had packed the new clothes she had bought the other day. She looked puzzled. I know that she has no idea where they are. She was frustrated and asked me to help her when we got back home from dinner. I told her I loved her, that I wanted to help her so much, but she wouldn’t let me. At least two of the outfits she had been pleased with and believed would be ideal for Chautauqua. My problem is that she won’t let me help her put them up so I know where they are. I also try to take pictures of new clothes, but she put them up before I could take pictures. It is frustrating for me, and I know it must be even more so for her. I realize that I write most of my entries when something of significance occurs (usually something I feel is not so good). Right now I feel that Kate seems to be on a plateau. She is not any better than she was before, but she seems to be content. We continue to enjoy doing things and enjoy each other’s company. Today she has been outside since we returned from our Y breakfast this morning. We also stopped at Lowe’s along the way. It must have been 9:45 when we returned. I had a board luncheon at noon; so she made do with a leftover sandwich and yogurt for her lunch. I suspect she only came in to get something to eat and/or drink and went back outside. It is now 3:50 and I got home around 1:45. She has been outside the whole time. At least she enjoys what she is doing. The most troublesome symptom lately has been her boredom around the house. She still is able to do only jigsaw puzzles, work on the computer (photos), and the yard. She has also been doing some organizing of her clothes recently. The rooms don’t look as much in disarray as they have in the past. She still gets irritated with me when we are going places. That is because I try to keep her posted on how much time we have. When I am able, I just let her take as much time as she needs. That works out well. I am coming to the end of my board responsibility with the foundation at the end of September. That will give me more free time. We should have fewer problems in the future. Because of her boredom, I have been more diligent in trying to keep her entertained. I am even beginning to think about another trip, a cruise from Rome to Amsterdam next May. I am in a quandary trying to assess the risk of doing so. If her condition next May is the way it is now, I wouldn’t hesitate. I just don’t know. I am definitely leaning toward taking a chance and buying the insurance if it will cover pre-existing conditions. 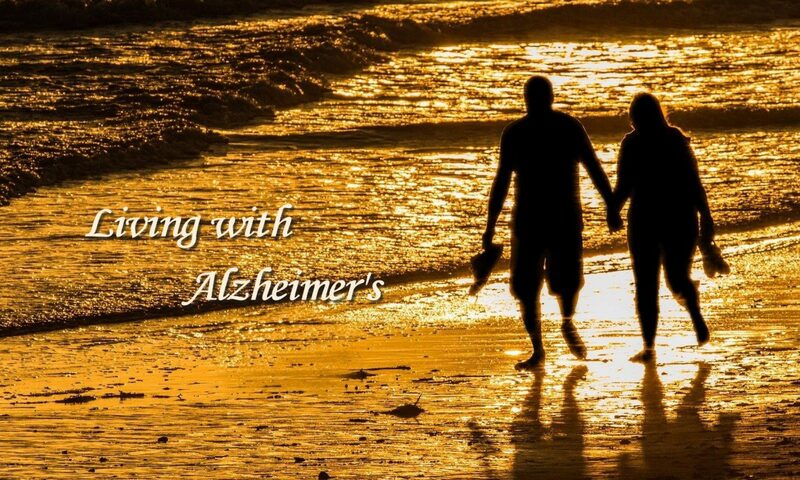 In the past I have noted things like the Deja vu experiences that I haven’t normally considered symptoms of Alzheimer’s. I am noticing more recently. For example yesterday while at lunch, she asked me if I had paid her DAR dues. I told her I hadn’t and indicated that to the best of my knowledge she was not a member of DAR. She then went on to tell me that she had at least visited one of their meetings and was impressed with the women and how smart they are and how much they knew about South Carolina. That rang a bell with me. She was thinking about AAUW. She had attended a meeting of theirs about 6-8 months ago and told me the same story. On the way home from dinner last night, she told me she wanted to show me where she had planted her plants. I assumed she was talking about the ones we had bought this afternoon. I didn’t think she had had enough time to plant them before dinner and hadn’t seen her go outside. In fact, she was still wearing the clothes she had worn to lunch. They didn’t bear any signs of her having worked in the yard. I said, “Do you mean the plants we just bought this afternoon?” She indicated yes. When I drove in the driveway, I could see all of the plants. They were left just where we had put them when we got home. I didn’t say anything. We got out of the car, and she walked me along the drive and out toward the front of the house. It didn’t appear that she could remember where she had put them but showed me plants that she had planted yesterday or the day before. I didn’t correct her. Last night after dinner, we got in the pool. She seemed to get quite relaxed as she moved around. She began to talk more than she normally does. Most of the things she said involved the yard and what she was doing. At one point she pointed to the neighbors Legustrums. She told me that she had been pulling leaves off of them where they were hanging over their fence and near our wall. I can’t imagine that she had done so because of the height of the shrubs. She wouldn’t have been able to reach without a ladder. Then she told me that she was clearing out the space between the neighbor’s fence and our wall so that she could put plants there. This is a bizarre idea since no one would be able to see them at all. In fact, you can’t even get to the space unless you go to the end of our wall and walk through the 3-foot space between their fence and our wall. This kind of talk seems more like that of someone with a psychotic issue. As I am noticing and learning, I am thinking that the damage done to the brain by Alzheimer’s can cause a variety of symptoms in the same way as mental illness. I continue to see short-term memories but cannot tell if it is any worse now than several weeks ago. On Saturday I took her to get a pedicure and manicure. When I picked her up, I paid, and gave her money to give the person as a tip. She hesitated and asked the receptionist if he could give the tip to the manicurist. As we were walking out to the car, she told me she did that because she couldn’t remember who had been the manicurist. Another symptom that I have mentioned before is she fails to notice lots of things happening around her. This includes missing visual things as well as information in conversations. It is as though all stimuli are overwhelming. One small example occurred two times in as many days. The first occurred yesterday when I put on a new shirt that is quite colorful. She has never been one to notice many of the things I wear, but this shirt should have stood out. She never said a word. I wore another similar shirt in terms of brightness today. She hasn’t said anything. Another example comes from dinner last night. We split a pasta dish called seafood gorgonzola. It had shrimp, scallops, mushrooms, and bell peppers in a gorgonzola sauce. She got full before finishing her pasta. I noticed that she had not eaten all of the mushrooms and made a comment to that effect. It was on top center of the pasta, but she could not see it. To be sure it was not a large piece, but it was large enough that she would have seen it easily before Alzheimer’s. Before finishing this entry, I feel the need to say that we are getting along well right now. I suspect that I am becoming more accustomed to her failing short-term memory. She is getting more childlike, but we get along well except for moments when she is irritated with me. That never lasts long. We are fortunate.